Ganesha 10, Bandung 40132, Indonesia. He is a recipient of Satyalancana Wira Karya (2003) and Satyalancana Karya Satya X Tahun (2001) from The President of The Republic of Indonesia. 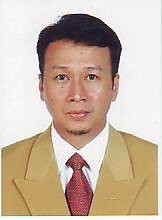 Prof. Freddy Permana Zen is a recipient of HABIBIE AWARD 2006 in the field of Fundamental Sciences from The Habibie Center (THC), the Center Institute which is founded by the former President of the Republic of Indonesia, Prof. DR. B.J. Habibie.